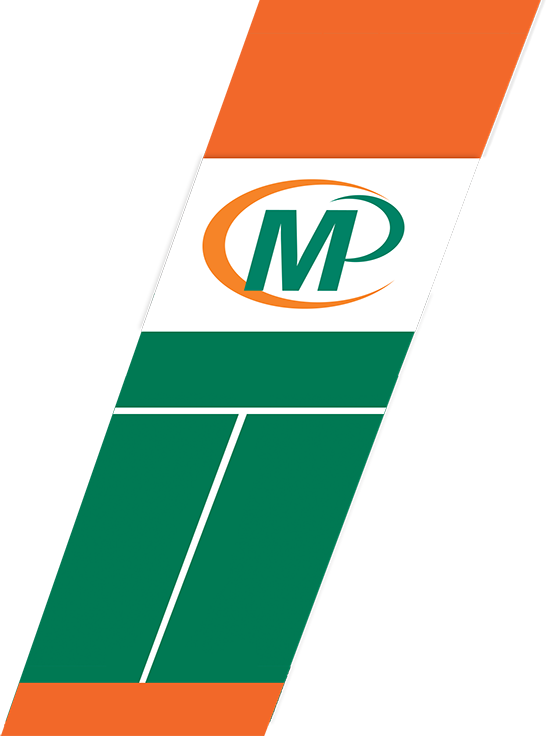 (see parking illustration at the bottom of the page for details). We are located on the main road (A35) between Bournemouth and Poole at the crossroad traffic lights at Ashley Cross in Lower Parkstone - near to the Poole Civic Centre and Bournemouth & Poole College's North Road Site and just down from the Ashley Cross Green and Parkstone Train Station. 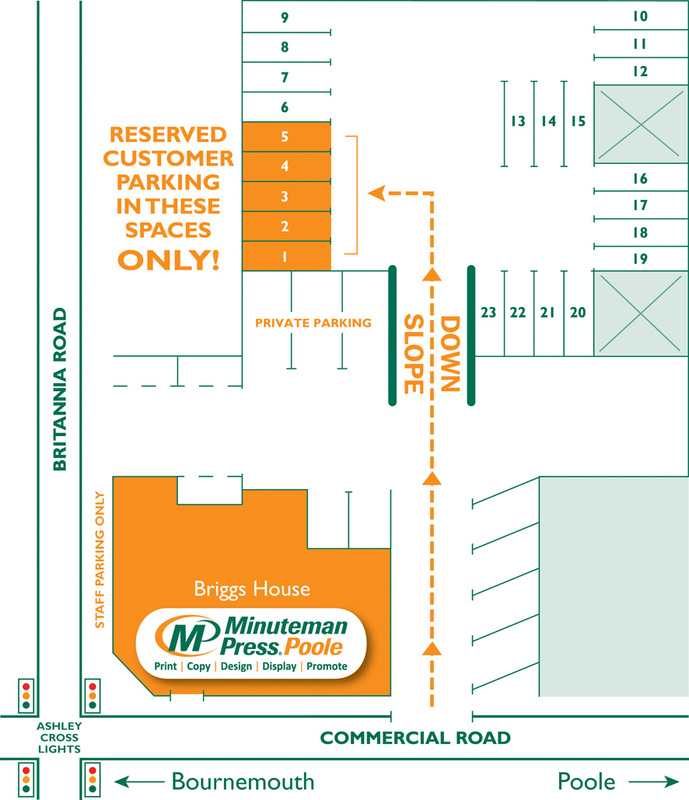 Our free customer parking is behind our building in the lower car park (between the 2 low walls and down the slope) and is the first 5 spaces on the left hand side marked Minuteman Press Parking (see illustration below). NB. Space is limited, parking is ONLY available for customers whilst in our store.